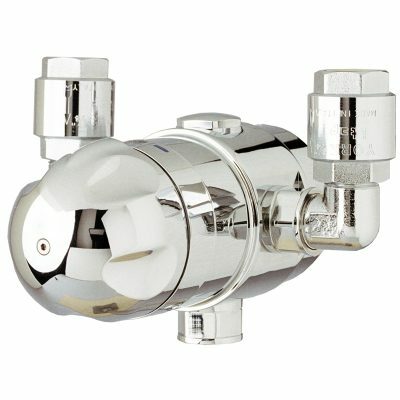 Thermostatic mixing valve that shuts off hot water when cold water breaks. 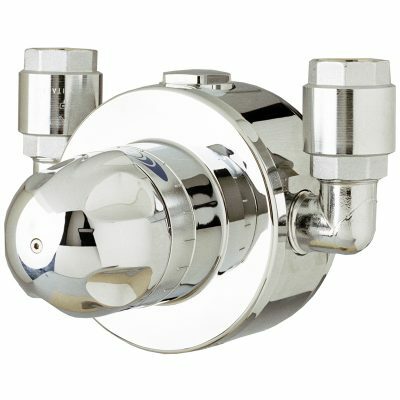 If a hot water failure occurs or if the thermostat is not working, the cold water will continue. 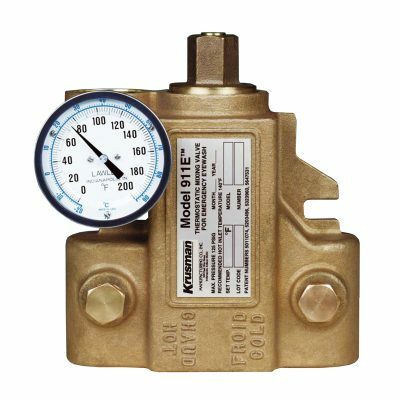 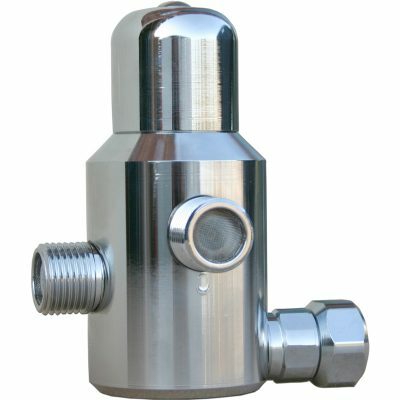 Designed for minimum flow of 120 l / min at 3 bar pressure.